Amazon announced today it will be launching its own currency this spring entitled "Amazon Coins." In its latest offensive to become one of the major tablet companies on the market, Amazon will be launching its own virtual currency this May dubbed Amazon Coins. The new coins will have a value of 1 cent and can be spent on apps, games and in-app purchases. Amazon is already courting developers to get them excited for the launch, and to entice them into making sure their apps are ready, the company announced it will give away tens of millions of virtual dollars to customers to jumpstart the economy. Developers were also informed that they will make 70 percent on purchases funded by Amazon Coins, the same amount they would through traditional sales. Will Amazon Coins catch on with consumers? It almost seems like an additional layer is being added to your purchase as you need to purchase the coins before using them, but your credit card is already associated with your account. We'll have to wait and see what the user experience is like before we decide whether this is a great idea or not. SEATTLE–(BUSINESS WIRE)–Feb. 5, 2013– (NASDAQ: AMZN)—Amazon today announced another new way for app and game developers to make money on Kindle Fire—introducing Amazon Coins—the new virtual currency for purchasing apps, games and in-app items on Kindle Fire. Amazon Coins is an easy way for Kindle Fire customers to spend money in the Amazon Appstore, offering app and game developers another substantial opportunity to drive traffic, downloads and increase monetization. 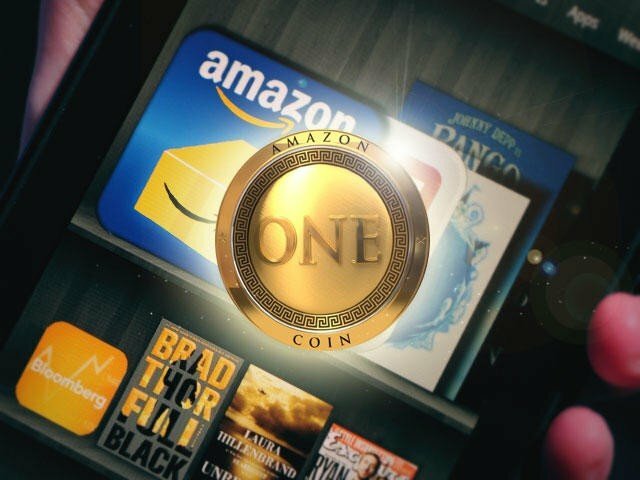 When Amazon Coins launches in the U.S. this May,Amazonwill give customers tens of millions of dollars' worth of freeAmazonCoins to spend on developers' apps on Kindle Fire in theAmazon Appstore. Amazon will also make it quick and easy for customers to buy additional Amazon Coins using their Amazon accounts. Amazon Appstore developers will earn their standard 70 percent revenue share when customers make purchases using Amazon Coins. Developers with apps and games currently in the Amazon Appstore for the U.S. don't need to do anything with their apps to capitalize on this new opportunity. Developers not yet in the Amazon Appstore should submit their apps soon—only apps submitted and approved by April 25will be ready when Kindle Fire customers have Amazon Coins to spend across the AmazonAppstore. Developers can learn more about Amazon Coins today at http://www.amazon.com/amazon-coins. "Developers continue to report higher conversion rates on Amazon compared to other platforms," said Paul Ryder, Vice President of Apps and Games for Amazon. "Now we have another new way to help developers reach even more of our millions of customers. Amazon Coins gives customers an easy way to spend money on developers' apps on Kindle Fire in the Amazon Appstore—and we're giving customers tens of millions of dollars in Amazon Coins to get started. Developers who aren't yet in the Amazon Appstore will want to make sure their apps have been submitted and approved byApril 25so they're ready for customers to start spending their Amazon Coins." "We've already found that the average revenue per user onAmazonis higher than other Android platforms," saidKeith Shepherd, CEO of Imangi Studios. "We're very excited about the monetization opportunity withAmazon'snew virtual currency." "Everyone recognizes Amazon's success in the e-commerce world – now the Amazon Appstore has become a major player in the mobile app marketplace," said Misha Lyalin, ZeptoLab's CEO. "Amazon'snew virtual currency is designed to open new opportunities for developers and make things easier for customers. This is a great example of appstore innovation and we want to support it." "We've been extremely pleased with how well our games monetize onAmazon," said Michael Grobe, Chief Financial Officer of GameCircus. "We're very excited about the launch ofAmazon'snew virtual currency."